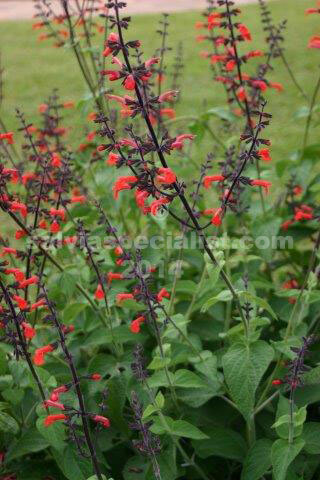 Rubescens originally came into Australia as an unnamed plant from Venezuela so I called it Venezuelan beauty. Then the correct name caught up with it. I got the seed from Betsy Clebsch and thought its flowers would be similar to gesneriiflora although smaller. The latter is a tough long flowering plant. Rubescens’ flowers have the black calyx and red tube but it is not so tough and can die unexpectedly. Other than that it is a good plant with grey leaves that remind me of coleus in texture. It will grow about 1m high x 50cm wide or maybe much better in your garden if it is warmer!